Note Kutai National Park is a national park located in East Kutai Regency and a small part of Bontang City which has a total area of ​​198,629 ha. 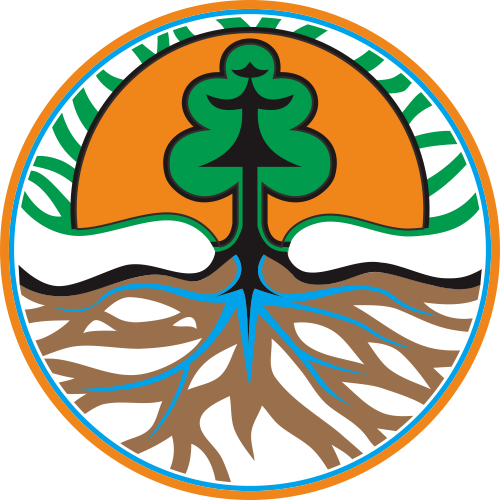 Office or National Park management is located in Bontang City. This area was originally status as Forest with an area of ​​2,000,000 ha based on the Government Decree of the Dutch East Indies (GB) No. 3843 / AZ / 1934, which then by the Government of the Kingdom of Kutai was declared as Kutai Wildlife Sanctuary through Decree No. ZB 80 / ZB / 1936 with an area of ​​306,000 ha. However, in the 2000s, the area of ​​Kutai National Park began to be populated for settlement and plantation land so that the area of ​​the original National Park is probably far below the 198,629 ha land area in the late 1990s. Based on the results of radar image processing in 2005, it was found that in general Kutai National Park has flat topography scattered almost in the entire area (92%) and topography surging up to hills spread over the central part of the area that stretches north-south direction (8% ). Most of the area has a height class between 0 – 100 m asl (61%) spread over the east and west of the region. The height level of the middle part of the area between 100-250 m asl (39%). The most recent land cover description resulted from the interpretation of landsat imagery conducted in September 2005. Based on the results of this landsat image interpretation, the area of Kutai national park increased to 198,803,59 ha. Identification Some plants in national park such as mangroves (Rhizophora sp. ), Tancang (Bruguiera sp. ), Sea pine (Casuarina equisetifolia), simpur (Dillenia sp. ), Meranti (Shorea sp. ), Benuang (Octomeles sumatrana), lime (Dryobalanops sp. ), Ulin (Eusideroxylon zwageri), 3 types of raflesia and various types of orchids. The ironwood tree in Sangkimah has a 45 m high free branch, 225 cm diameter or 706 cm rod rod and 150 m3 of volume. This tree is recorded as the highest and largest trees in Indonesia. Birds: crane storks (Leptoptilos javanicus), white belly sea eagle (Haliaeetus leucogaster), king / green (Ducula aenea), jungle (Gallus sp. ), Gold parrot (Gracula religiosa), Asian serpent ( Anhinga melanogaster melanogaster) ….